We know that one of the hardest things to do in your home is get rid of those darn cob webs. We have the equipment and people that know how to get rid of those ugly things. Trust us to do the job for you. Whether you are a professional or a homemaker, our cleaning services can help you with all your cleaning needs. We at Country Home Cleaners would like to introduce ourselves to the community. Our cleaning services are top of the line and customized to your specific needs. Serving: Bainbridge Island, Belfair, Bremerton, Kingston, Olalla, Port Ludlow, Port Orchard, Poulsbo, Seabeck, Silverdale, Gig Harbor. 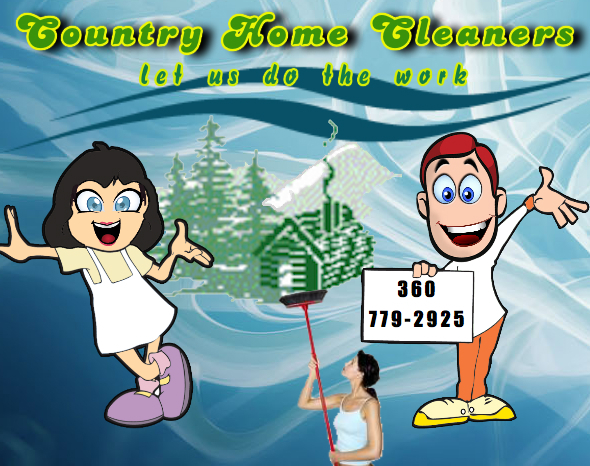 Country Home Cleaners is dedicated to offering great cleaning service at a price everyone can afford. We provide cleaning on a regular basis. Weekly, bi-weekly and monthly services are available.